Robert (Rob) Mark, Commercial pilot & Publisher of Jetwhine.com – Cell phone: 847-644-1575, e-mail rmark@commavia.com, or rob@jetwhine.com. Robert Mark, a 35-year aviation-industry veteran, leads CommAvia, a global creator of leading edge media content – print, online, audio and video – for the aviation industry. CommAvia’s expertise allows them to skillfully blend operational aviation knowledge with new age media tools and just the right touch of strategy to create engaging stories for a variety of stakeholders across a number of different platforms. Mark, a practicing aviation safety geek, is the former editor of safety at Aviation International News. 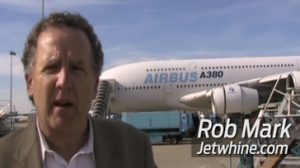 He has twice won the coveted Airbus Aerospace Journalist of the Year award at the Paris Air Show, as well as the National Business Aviation Association’s (NBAA) 2010 Award for Outstanding Journalism. He writes for AOPA Pilot, Airport Business and P1 Digital Media. Mark is the author of four McGraw-Hill books, the most recent being the second edition of a Professional Pilot Career Guide published in June 2007. He’s also a member of the editorial board for the Alumni magazine of Northwestern University. Robert Mark edits the award-winning, aviation insiders blog Jetwhine.com, an editorial podcast The Aviation Minute, as well as co-hosts and produces the weekly radio show, The Airplane Geeks. 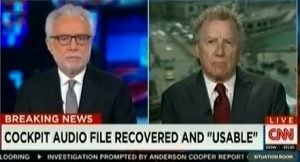 He’s a regular aviation news contributor to Fox News, WGN-TV, the BBC and CNN. 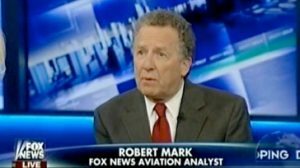 Mark has also been featured as an aviation news analyst on CBS, NBC, PBS and a number of national radio outlets such as Chicago’s WLS Radio, WGN Radio, WIND Radio and the Bill Cunningham Show on Cincinnati’s WLW Radio. Rob Mark is an ATP-rated pilot with nearly 7,000 flying hours in his logbook gathered from the airline, on-demand charter and Part 91 business-aviation environment. He’s flown small training aircraft, corporate jets and even the mighty Airbus A380. Robert Mark holds current flight instructor ratings for instrument and multi-engine aircraft. He also spent 10 years working for the Federal Aviation Administration (FAA). A professional speaker, Robert Mark has engaged audiences on a variety of aviation business marketing and safety topics at regional, as well as national convention meetings, for the National Business Aviation Association (NBAA), the American Association of Airport Executives (AAAE), the National Air Transportation Association (NATA), the Aircraft Owners and Pilots Association (AOPA), Cessna Aircraft Company, the Wichita Aero Club and both the Florida and Minnesota Aviation Trades Associations. Rob is also a regular speaker at the annual Texas Aviation Conference. As an adjunct faculty member at Northwestern University’s Medill School of Journalism, Robert Mark taught Marketing & Public Relations, as well as Communications Skills & Persuasive Messaging focused around emerging media. Mark received his Master of Science degree from the Integrated Marketing Communications program at Northwestern University’s Medill School of Journalism and was awarded a Bachelor of Arts degree in English by Northeastern Illinois University. Mark is a member of the National Business Aviation Association (NBAA), the International Society of Air Safety Investigators (ISASI), the EAA, the American Society of Journalists and Authors (ASJA), The Author’s Guild and the Mystery Writers of America (MWA). Contact Robert Mark at rmark@commavia.com, through his blog at www.jetwhine.com, or at 847-864-9780. You’ll also find Rob Mark on Twitter: “@Jetwhine,” on Facebook at: Robert P. Mark, on LinkedIn at: “Robert Mark” and on SKYPE at: commavia.